The Charles E. Cooper studio may have been the most prestigious art studio in America, and Fredman Chaite may have been their closest competition. 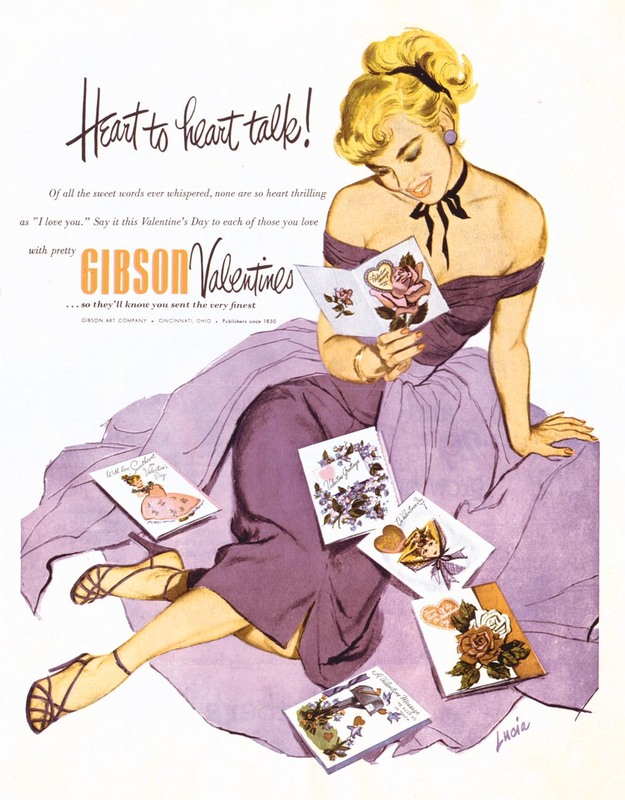 But in that golden age of commercial art that was the mid-20th century, neither outfit came even remotely close to Kling Studios for sheer size, services offered, and nation-wide reach. 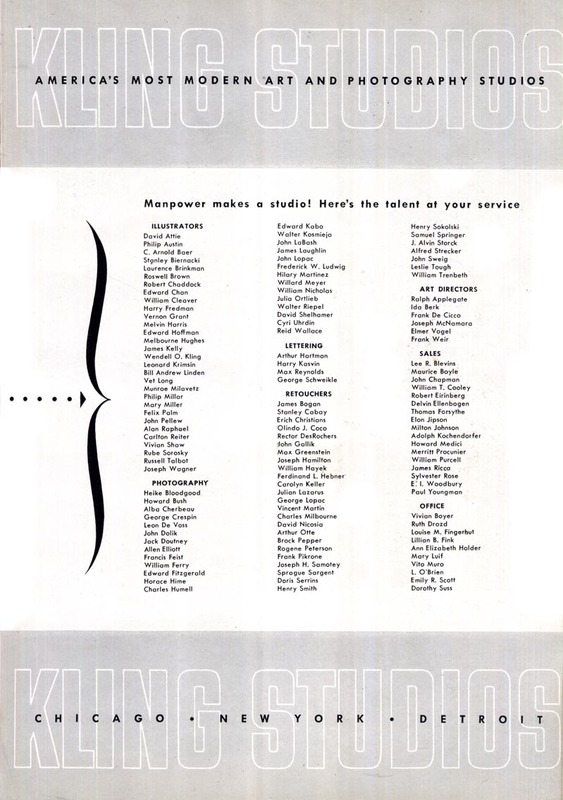 According to the copy in one of their many ad in the back of the NY Art Directors Annual, Kling Studios began in 1934 as a humble two man shop. By the early 1940s they had expanded to offices in New York, Chicago, Cleveland and Indianapolis. 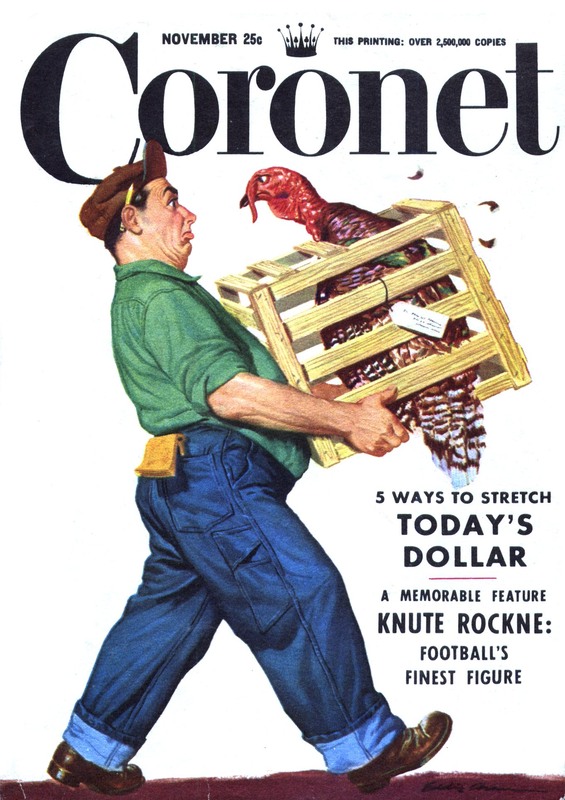 By the mid-1940s, Kling's massive production staff included some of the biggest names in illustration in America. ... and Eddie Chan all worked at Kling. Oh yeah, and so did Harry Fredman! 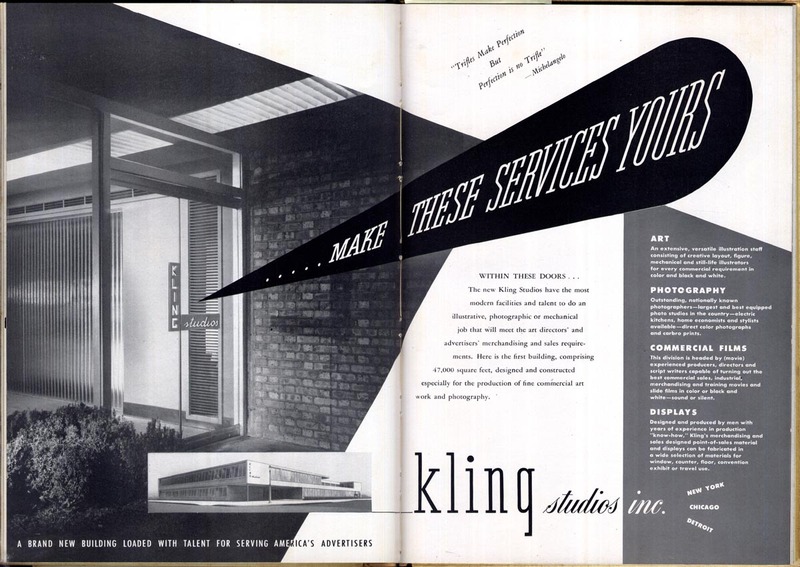 By 1950, Kling Studios had added offices in Detroit and Hollywood, effectively spanning the nation from coast to coast and tapping into every major commercial art market from automobiles to magazine publishing to packaging and display, and to movies and television production. By this time, Harry Fredman had left to form Fredman Chaite studios (taking David Attie with him). But thanks to a partnership with art rep Barry Stephens in New York, Kling's new roster included some of the illustration industry's most prominent, most in-demand artists. 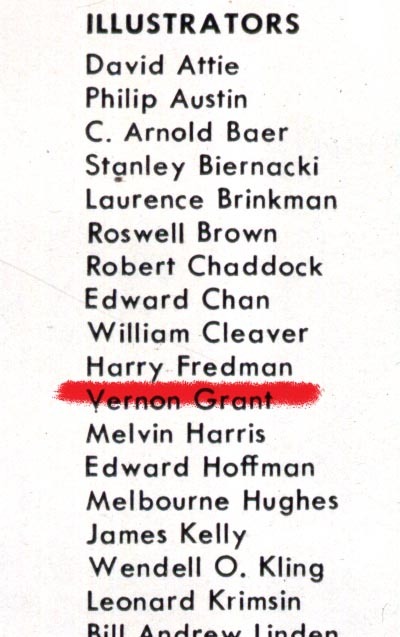 Frederic Varady, Ken Riley, Stan Ekman - the list went on and on. And in Chicago, Lucia (who would soon be moving, along with Reno Biondi, to form a new studio, Stephens, Biondi, DiCicco) was at that point on staff at Kling! 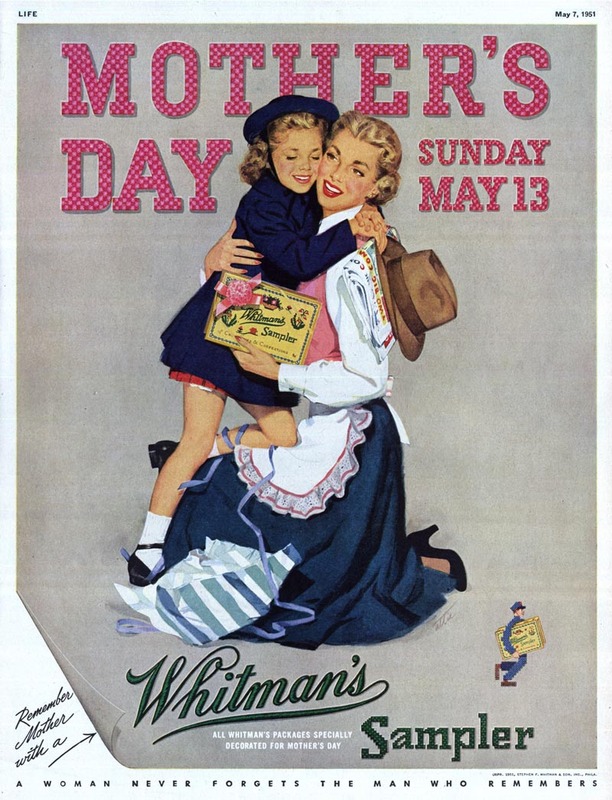 So who was behind this massive, nation-wide commercial art empire? 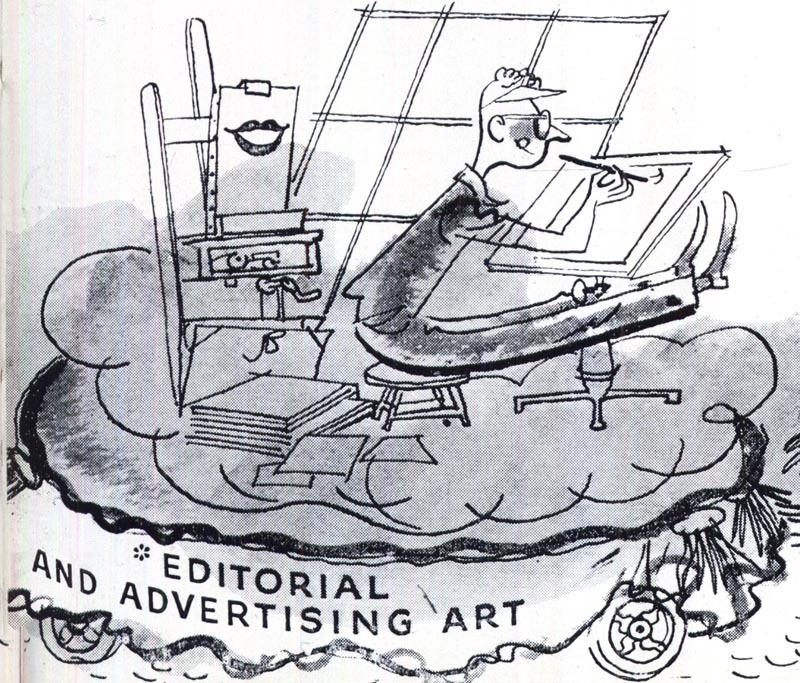 An illustrator named Wendell Kling. During the depression, the two man operation mentioned above was founded by Wendell Kling and his partner, businessman Robert B. Eirinberg. 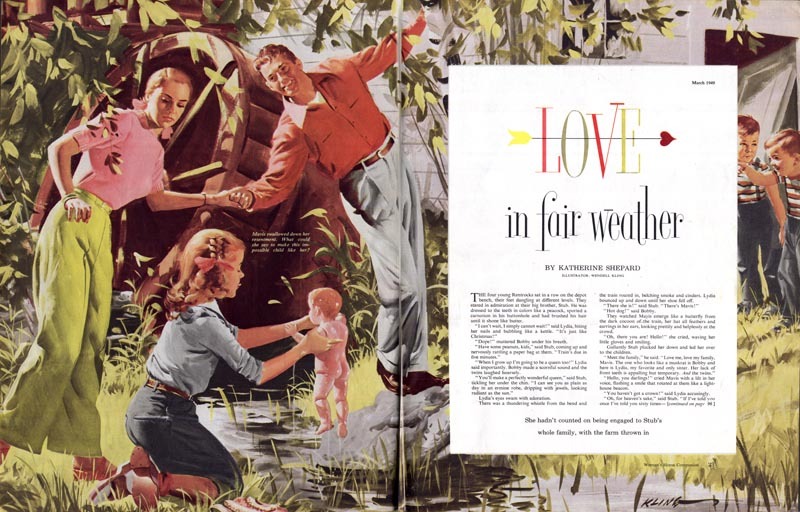 The business was so successful that by the mid-'40s the partners were able to build their massive operation at 601 N. Fairbanks Ct. in Chicago at a cost of $500,000. 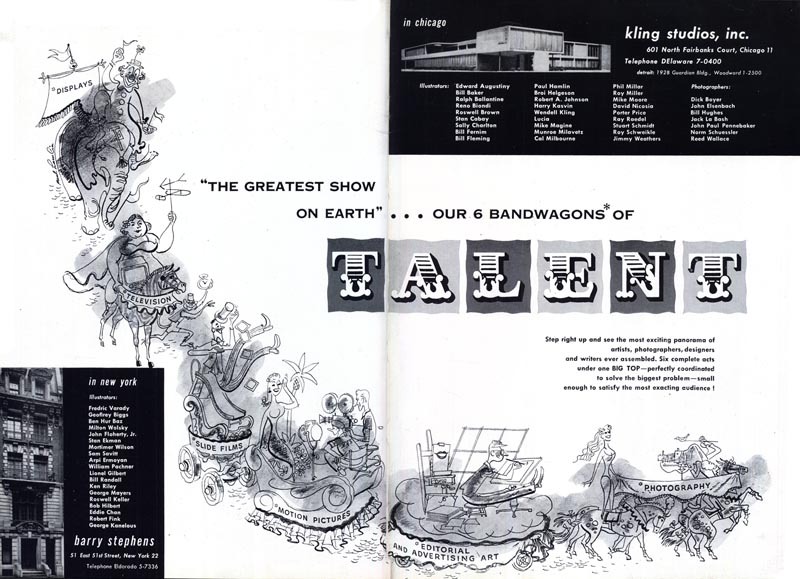 In 1950 they added Kling Film Enterprises, the largest film and television production studio outside of Hollywood at that time. It astonishing that there seems to be no biographical information about Wendell O. Kling. What he and Robert Eirinberg built is nothing short of amazing. Based on the few examples I have of Kling's art it strikes me that he might have come out of the Sundblom Circle, but that's just speculation on my part. There's no actual documentation of that either. The last example of Kling's work I've managed to find is a 1966 children's book from Whitman Publishing which he illustrated. From what little information I was able to sleuth out on the Internet, no trace of Kling's once mighty commercial art empire has survived. 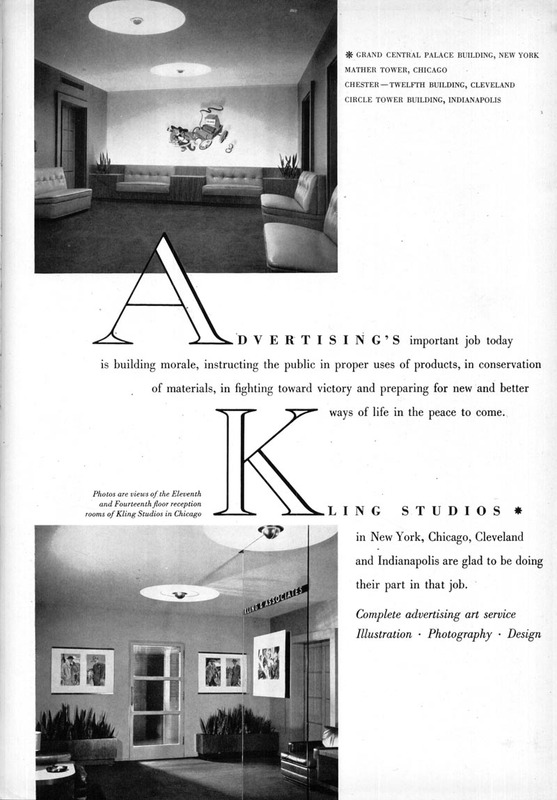 I'm refering to the Kling Studios reception room in Chicago depicted here; its interior design itself so interesting to watch. See that glass panel with the framed painting and all the other illustrations on the wall. Must have been some "showcase" illustrations featured here. Clients must have been impressed! Perhaps a difficult decision: "Showcasing what?" among all the wealth of competing pictures. Thanks Leif, that was most interesting. For some reason we only got to hear about Cooper Studios over here in the UK. Interesting… needless to say another great post. 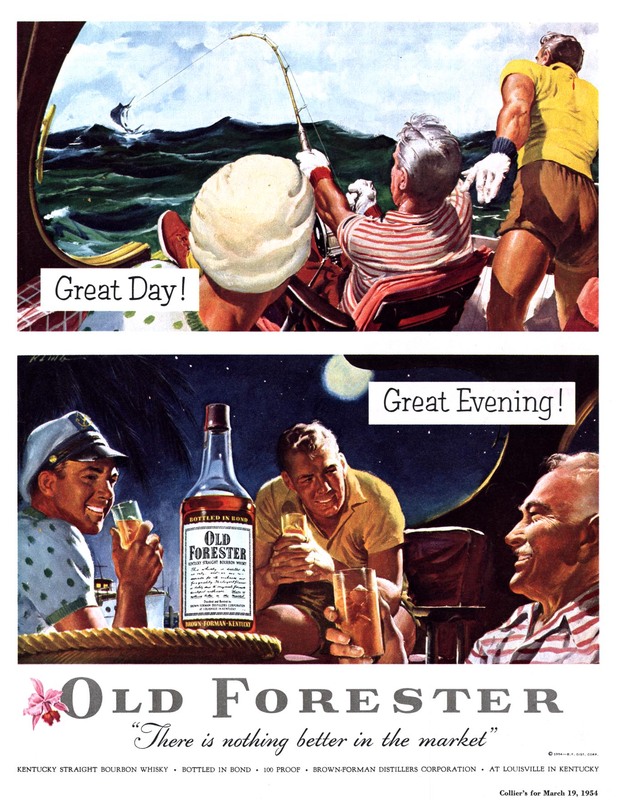 I find the lost history of these advertising empires fascinating. Shows how ephemeral the kingdoms that we build on this world are. अर्जुन; thanks so much for the links! Just the thing I was unsuccessful at finding -- is this something you scanned and archived? Somethings I scan and others I find strewn across the information superhighway. The Kling Studios article is from Google books. Wendell was my grandfather. Up to this point, this is the most significant information I've been able to find about him. 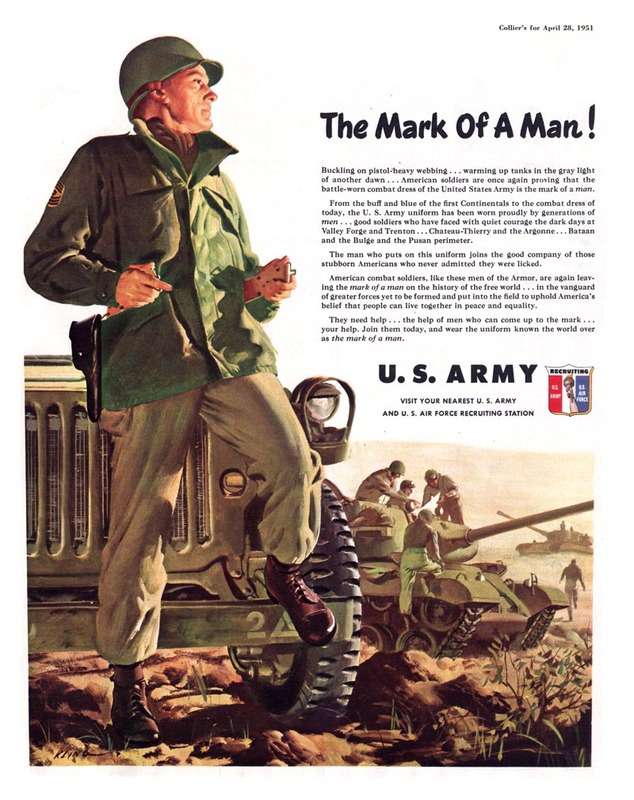 He passed away before I was born, so I never got to meet the man. And my father and three uncles have never given me much insight into his professional life. Thank you for writing this. It's quite compelling to see what prior generations have done. Also, I appreciate the additional links provided. My father and I have amassed various magazines throughout the years with his work in it and my father still has lots of original works of his. Wish i had more of my Dad's work! ROSWELL FISKE BROWN WAS MY DAD! Thank you for honoring him. He was at Kling Studios for a long time. He did lots of Popular Mechanics covers, Worldbook, Britannica etc. he would do fabulous Trains, Space Ships, Rockets, Strato Rocket was his invention and the original Space Shuttle! He just knew perspective naturally without training. He loved Kites. His Aunt Henrietta Swan Leavitt discovered how to measure the universe, and used to take him out at night to show him constellations. I miss him terribly. Cassandra Jorge Brown Polemi. I'm very interested in talking to you about your dad. 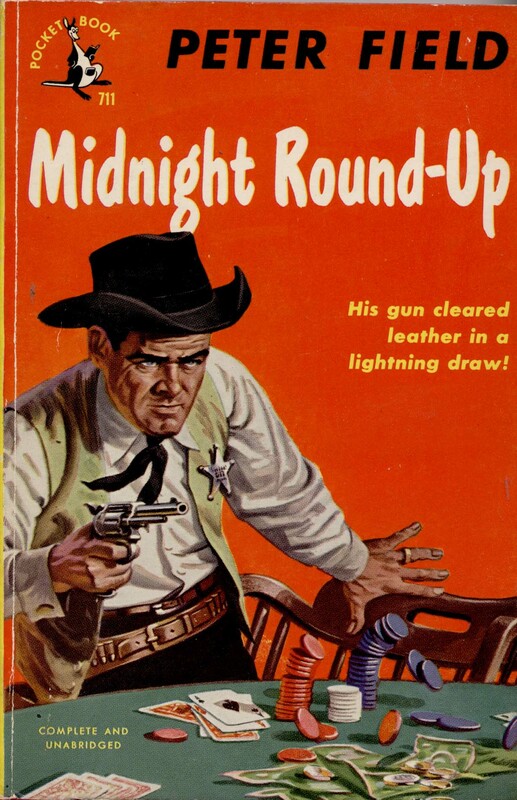 I'm doing research for a book, and his name and artwork have come up several times. Please contact me when you can. Thanks! 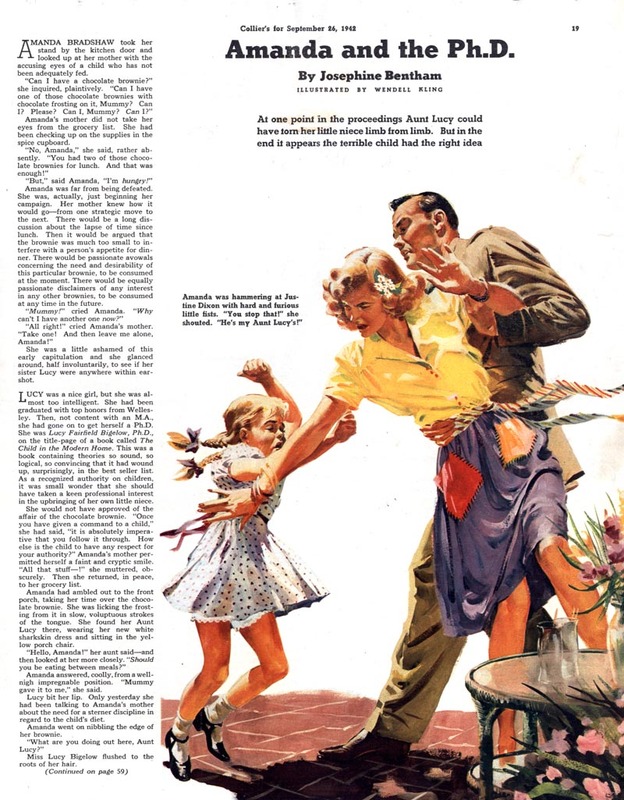 I knew the Kling family in the early 1960s. I remember that there were 4 boys, the oldest of which (Mike) was one of my best friends. We lived in Carol Stream IL and the Klings lived just a few houses away from ours. I remember Jeff and Bobby, but cannot recall the name of the other boy. Their mother was named Mickey. The family moved to Streator IL sometime around 1962, and we lost touch shortly thereafter. I did spend a week with them one summer in Streator. Whenever I see a reference to Streator I think about Mike and his family and wonder whatever became of them. Wendell was indeed a great artist - his illustrations were almost "photographic" they were so realistic. I have an original Wendell Kling painting. If anyone is interested please contact me. How do I contact you ? Very interested ! Can you contact me at dave.rieck@frontier.com ? I am from Streator and lived in the neighborhood. Mr Kling was a prolific painter. He was always painting. 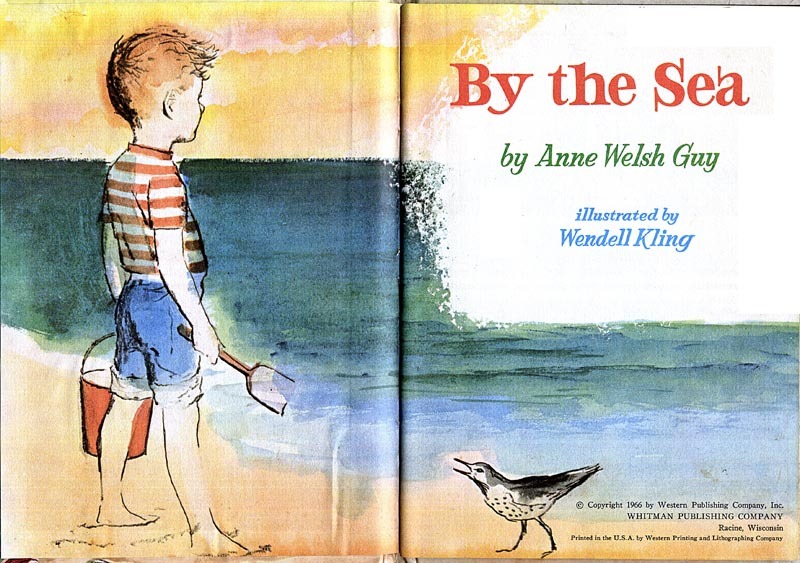 He even painted likenesses of the kids in the neighborhood (me included) for the book "By the Sea". We all knew he was famous but you would never know it as he just painted and painted. 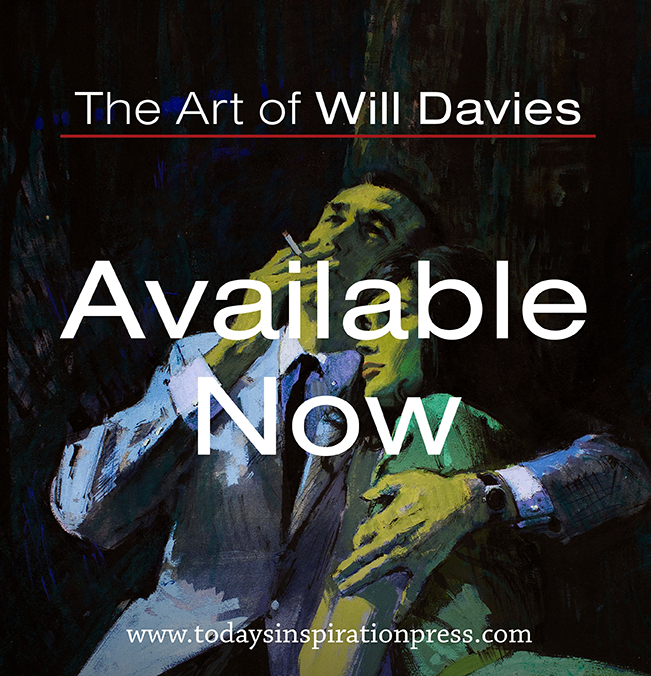 I wonder what happened to all of his paintings?